When it comes to salsa, my favorite one has to be Salsa Verde. 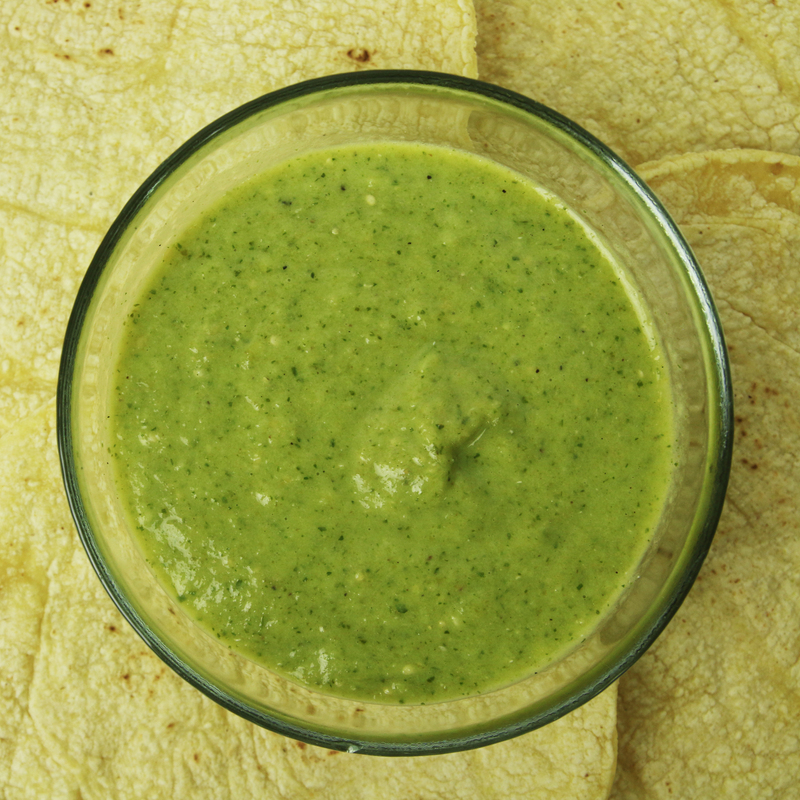 Salsa Verde, also known as Mexican Green Sauce, is made with Tomatillo which is a green husked tomato typically grown in Mexico. You can use it in / on your favorite Vegan burritos, enchiladas, tamales, and I even love to use it as a salad dressing. 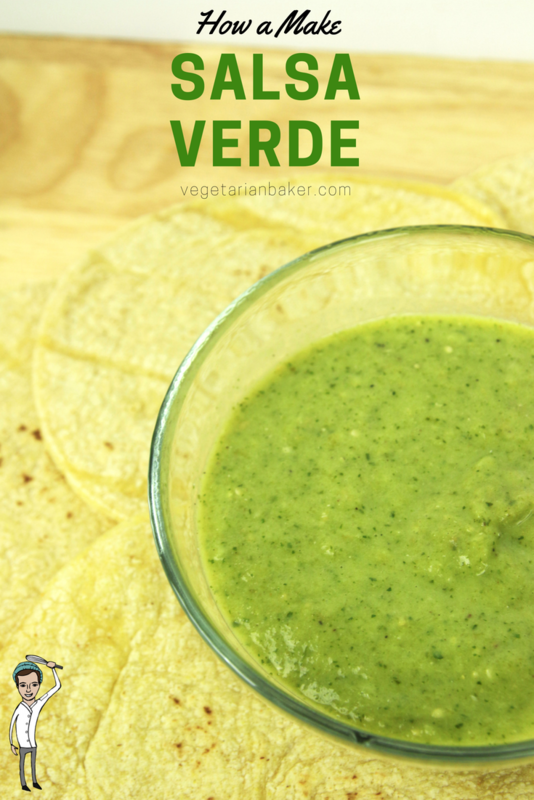 If you make this recipe, what is your favorite way to enjoy Salsa Verde? When it comes to salsa, my favorite one has to be Salsa Verde. Salsa Verde, also known as Mexican Green Sauce, is made with Tomatillo which is a green husked tomato typically grown in Mexico. Cut the onion and tomatillos in half. Also cut the top off the jalapeno. Place these 3 ingredients on a parchment or silicone lined sheet tray. Bake for 30 minutes. Allow to cool. Add all of the ingredients into a high powered blender or food processor. Blend on high until blended to your liking. I like to blend on high for about 60 seconds to get the salsa verde smooth. Store in an air tight container and in the fridge for up to 2 weeks.